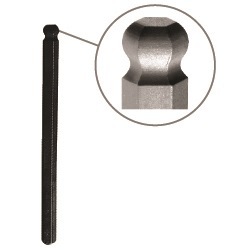 Ball End inserts into a screw at a 25° angle. Works in hard to reach places. Ideal for socket wrenches, power tools or with a Hextender for added reach.